Feb 12, 2017 (Raleigh) — Rosa Maria Ortega’s name made national news, Feb 9, when a Tarrant County, TX. jury found her guilty of vote fraud and (according to a CBS News website) the jury also sentenced her to 8 years in prison. While the New York Times report of the trial could well have been written by the attorney defending Ms. Ortega, we wondered how the jury could be so enraged at her that they meted out such a harsh punishment; and learned that she deliberately lied on a registration after being told she couldn’t vote as a non-US citizen. While the defense team painted the picture of a helpless woman with a sixth-grade education, they said the laws were too confusing for her. Adding to her case, was the fact that she has four teen-aged children. While major media accounts truthfully reported that she was only prosecuted after she told officials that she had been voting as a non-citizen for several years, they left out a key detail to the entire prosectuion and sentencing. Erin Anderson, the former Legislative Liaison for True The Vote, attended some of the trial and she said the jury of 10 women and 2 men didn’t buy the victim account for one reason. Ortega was a proven liar. This prompted a County Election Clerk to send Ortega a rejection letter. Stating, in no uncertain terms, that because she is not a citizen, she is ineligible to vote. Only citizens may vote. However, Ortega pressed the issue. She called to demand a reason for her rejection. Reiterating the letter, the clerk stated that because Ortega indicated that she was not a U.S. citizen, she was rejected. A month later, Ortega then filled out a second registration application. This time she made sure to check “YES” to the citizenship question. The clerk, remembering her non-citizenship status, forwarded the application to her supervisor who then referred it to the District Attorney. Both the New York times and the CBS-11 Dallas “news” sites failed to mention this very damaging fact in their reports and in her lawyer’s follow-on media claim, that Donald Trump was somehow responsible for the jury’s harsh sentence. According to a Feb 10 AP story from the same CBS site, the attorney, Clark Birdsall, “said Ortega was a US permanent resident who mistakenly thought she was eligible to vote,” and then referenced President Trump’s recent re-tweet of a shady activist’s claim to have proof that 3 million non-US citizens voted in November’s election. Attorney Birdsall, called President Trump’s re-tweet, “‘the 800-pound gorilla’ in the jury box,” according to the CBS site. Ortega voted five times in Dallas County. 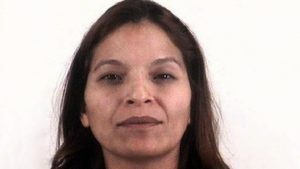 Ortega moved to Terrant County and admitted she was not a US citizen. Her registration was rejected, based on her admission of non-citizen status. A month later, she resubmitted the registration form, this time checking the “yes” block, lying about her status in order to vote. The jury simply could not tolerate her legal defense after that simple timeline was confirmed. Hopefully, the White House is paying attention.